We were very pleased to welcome author Susan Lewis to school during Book Week. 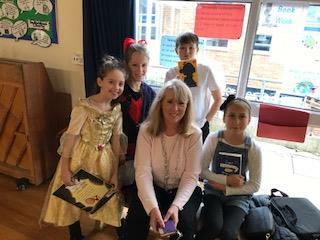 She is a Sunday Times bestselling author who lives locally and came to talk to the junior children about what it is like to make a living writing books. She also finished her visit by very kindly giving one child from each year group a children’s book.